One of the best things about living in Australia is the amazing array of flora and fauna. Flowers like these are common here, but so wonderfully new to me. I still don't know what they're called .... anyone? Beautiful! One can almost smell it :) Lili of the Nile I believe they are called. 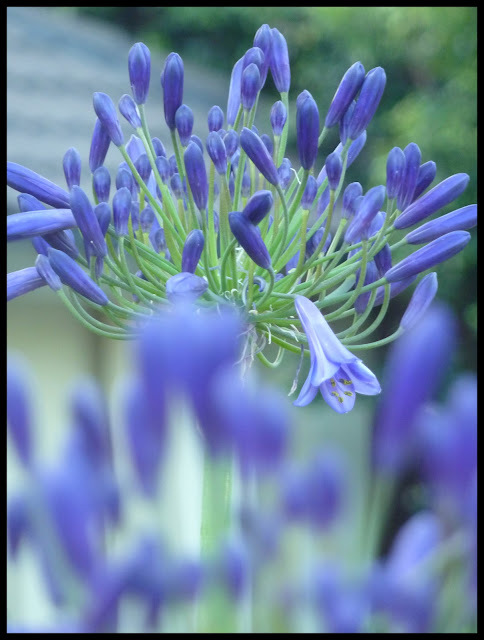 Googled it and found the latin name http://en.wikipedia.org/wiki/Agapanthus I think that's it. Oh wow, thanks Sha'ira for that! Good to be able to put a name to it at last. Anytime :) I reckon the name is awesome too!